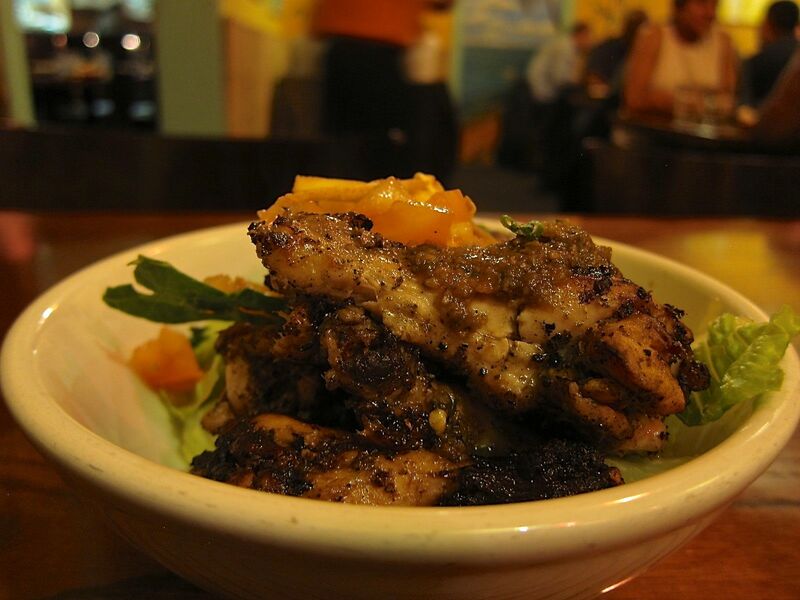 Spicy jerk seasoning is probably one of the most popular cooking styles that originated in Jamaica. In its original form, jerk spice mostly consisted of allspice that was rubbed on meats before being being cooked over a wood fire. However, more recently, the spice has evolved to include hot Scotch bonnet peppers and a variety of other spices. Creole style cooking is popular in Dominica where some of the original native Carib Kalinago influence can still be seen in dishes such as smoked meat and fish. 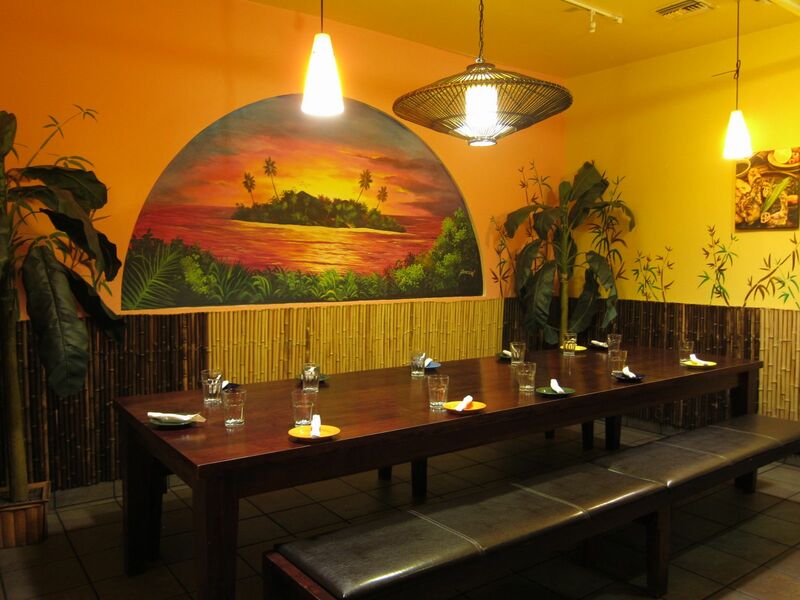 Influenced by the French, Creole-style cooking brought in the use of marination and seasoning prior to cooking. In Barbados, meats and fish are seasoned with a unique Bajan seasoning before they are cooked. Conch, octopus and flying fish are common delicacies of this island more popularly known for its production of rum. 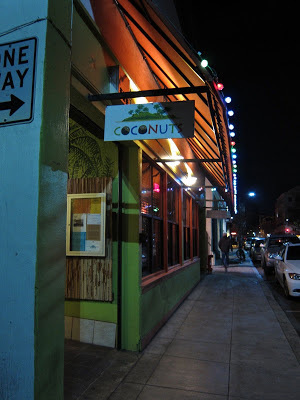 Coconuts Caribbean Restaurant is a nice little place to get acquainted with the food of the Caribbean while in downtown Palo Alto. Reggae music, colorfully painted walls and native Caribbean waitstaff creates its unique ambiance. It was busy on a Friday evening and I was lucky to get a table. The place seemed to be mostly filled with students from nearby Stanford University. 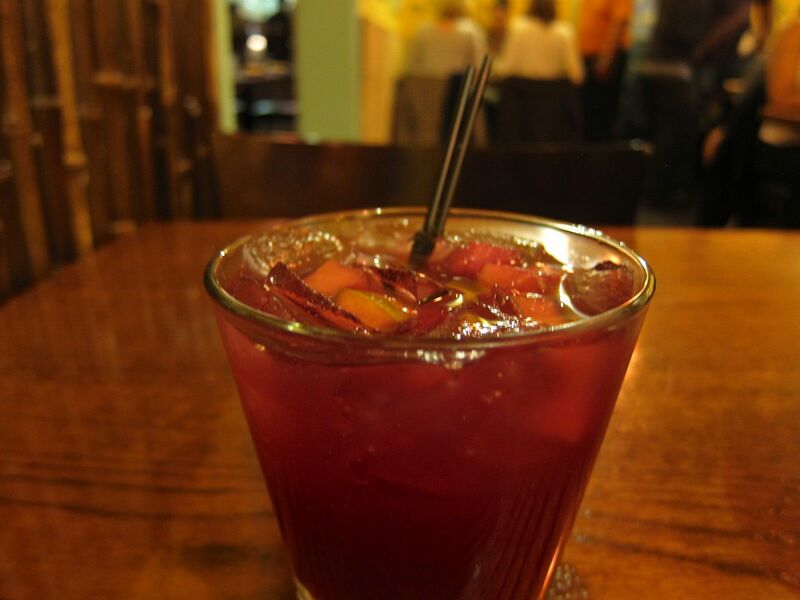 I started off with their house speciality of Jerk Chicken Wings and a glass of Sangria. The portion was quite large, but the sharp spicy taste of the freshly made wings were delicious. I was glad I had the icy sweetness of the sangria to offset the fiery flavours of the jerk spice. 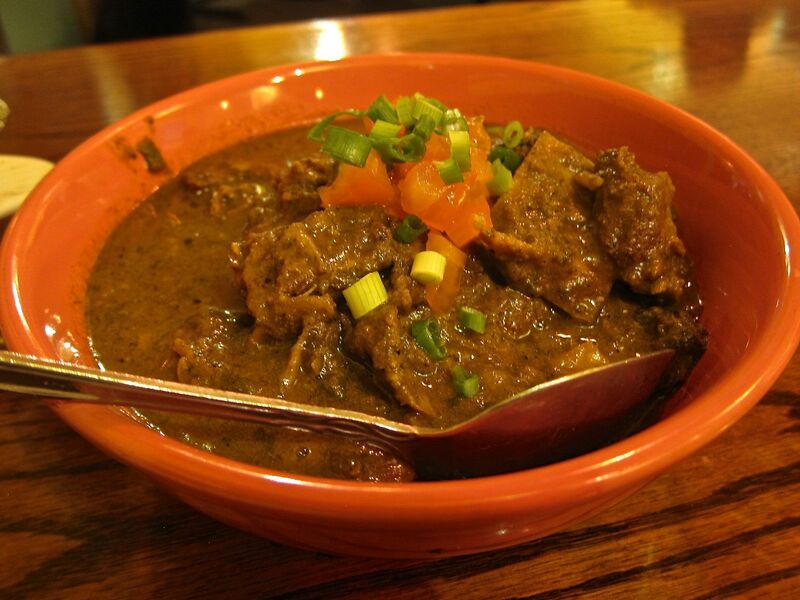 The Curried Goat came in a large-sized portion too. 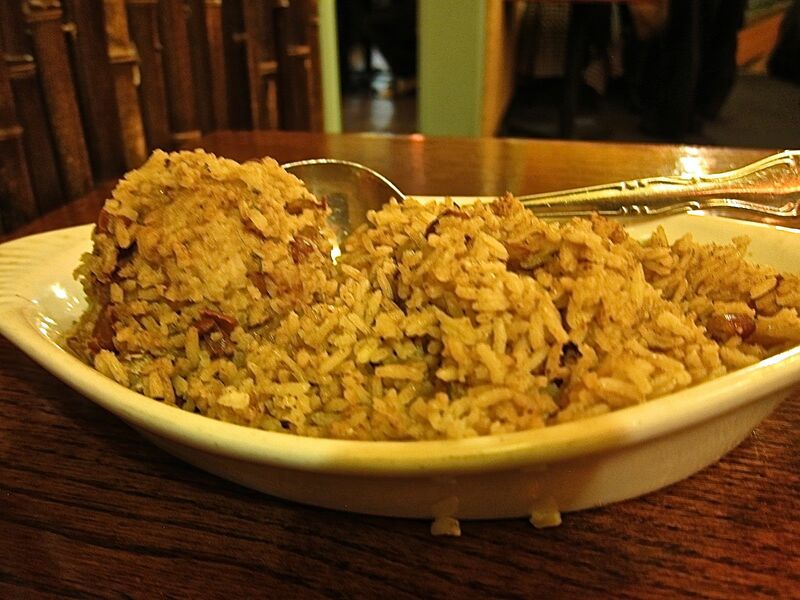 I had ordered some Beans and Rice with it. The chunks of meat and the robust gravy were delightful in the wintry cold evening. 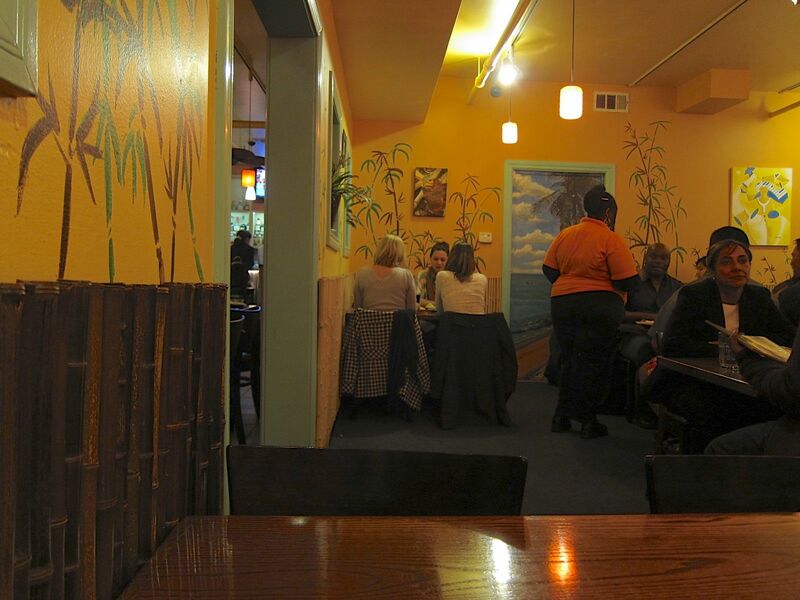 I was quite full and very satiated by the time I walked out of the restaurant. 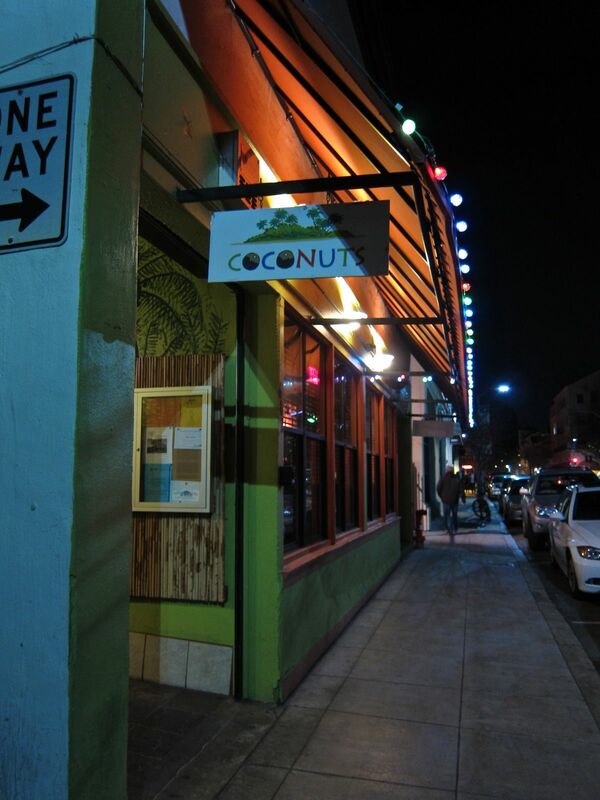 Coconuts is wonderful place if you are looking for something out of the ordinary in a casual, comfortable setting. Of course, you have to have a good tolerance for spices and be ok with a fairly high decibel level here. Overall a place I would certainly return to!